DETROIT -- A teaser video of the yet-to-be-unveiled 2016 Chevrolet Malibu shows the redesigned midsize sedan getting a workout at General Motors' test facilities. The video released by GM shows a camouflaged Malibu barreling through deep water, jostling over rumble strips and being blasted in a wind tunnel. GM engineers are using black box data gleaned from its cars dating back to 1972 to calculate the amount of damage that 150,000 miles worth of potholes and other hazards will inflict on a Malibu during its life. 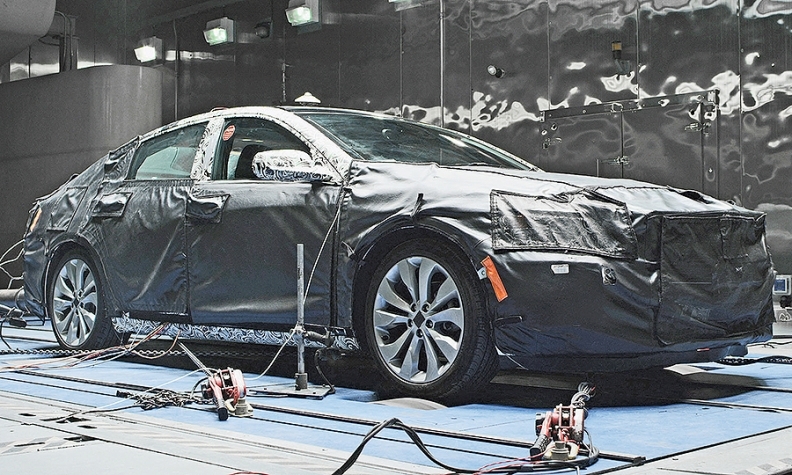 GM tries to replicate those conditions at its proving grounds in Milford, Mich.
Chevy will unveil the 2016 Malibu April 1 at the New York auto show.